On January 1, 2019, alimony became tax-neutral under the new rules of the Tax Cuts and Job Act (TCJA). Payors cannot deduct payments of alimony from their taxable income and recipients of alimony do not have to claim it as income. Agreements in place prior to the beginning of 2019 are “grandfathered in,” and interpreted according to the laws in place when they were created. This is also the case with any modifications of agreements or judgments that took place before 2019. The rules related to alimony payments are a permanent part of the tax code and do not expire in 2025, as is the case with some other aspects of the TCJA. In the past, divorced individuals paying alimony could write off as a standardized deduction the full cost of their payments on their federal tax return. Spouses receiving alimony payments reported them as taxable income. The new law makes alimony payments more like child support payments –neither tax deductible nor taxable. 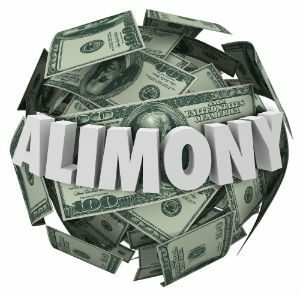 How Does the TCJA Affect Those Paying or Receiving Alimony in New Jersey? New Jersey has undergone quite a few alimony law changes in recent years. For instance, in 2014, Governor Christie signed a reform bill that created stringent requirements for awarding alimony. “Open durational” alimony also replaces “permanent alimony,”. The federal changes will likely make alimony negotiations more difficult for spouses obtaining a divorce in New Jersey. Since the paying spouse will no longer have the benefit of the tax deduction they were entitled to previously, they are less likely to give in to large alimony demands. Tax deductions served as a respite for those paying alimony, helped in regulating higher payments, and now there are no incentives for a higher-earning spouse to make payments. Changes in the new law also affect alimony recipients, as they will no longer need to report alimony as income. The payments are not income which could also affect the recipient’s ability to obtain loans, remortgage a former marital home, etc. Keep in mind, arrangements finalized before December 31, 2018, will likely not change. However, waiting periods and other issues can affect your status, so it’s important to have your attorney and/or tax accountant assess your situation. The new law appears to benefit divorce alimony recipients and penalize those paying alimony, but upon further investigation, it’s actually detrimental to both parties. According to the Joint Committee on Taxation, the change will increase revenue to the IRS by approximately $6.9 billion over the next decade. The law change shifts tax liability back to the higher earner and taxes money at a higher rate. This means less money is available for parties to divide between them and share with their children. The changes in tax law are likely to change the dynamic between spouses as they work toward a divorce settlement. One of the benefits of paying alimony was the tax deduction. This often made negotiations easier because both parties could see a benefit, but this is no longer the case. The National Law Review takes a closer look at the fallout from the TCJA in this February 25, 2019 article. There are couples who might consider changes to their current arrangement to reflect the changes to tax law. For instance, those who signed prenuptial agreements based on tax-deductible alimony payments might want to make modifications to their agreement. Others simply have questions about how the changes will affect them. At the very least, couples and individuals should make arrangements with their accountants and attorneys to review their existing documents. Lastly, it changes a rule of thumb that attorneys, and even Judges, have utilized for decades. Even though the Appellate Division has consistently stated that it should not be used solely, practitioners, mediators, and even Judges have used what is a 1/3 rule of thumb, i.e. Payor’s Income minus Recipient’s Income=X/3. The recipient used to be given 1/3 of the difference in income in the form of alimony. Now, some experts have suggested using the gross income differentiation and giving the recipient anywhere between 22% and 25% of the difference depending on their respective tax brackets. Some experts further suggest utilizing the old 1/3 rule of thumb based on the difference between the parties’ net income. Irrespective, the change in the tax law has left many questions unanswered for practitioners, experts, and judges—only time will tell whether the change will make settlement more or less complicated. To consult with someone about a TCJA alimony matter, contact Gourvitz & Gourvitz, LLC at (973) 467-3200 or (212) 586-1700.